Federal Reserve Chairman Bernanke defended impact of low interest rates on those living off of savings in a speech Monday. The Federal Reserve's efforts to keep interest rates exceptionally low are in the best interest of those living off their savings, Fed Chairman Ben Bernanke argued Monday. 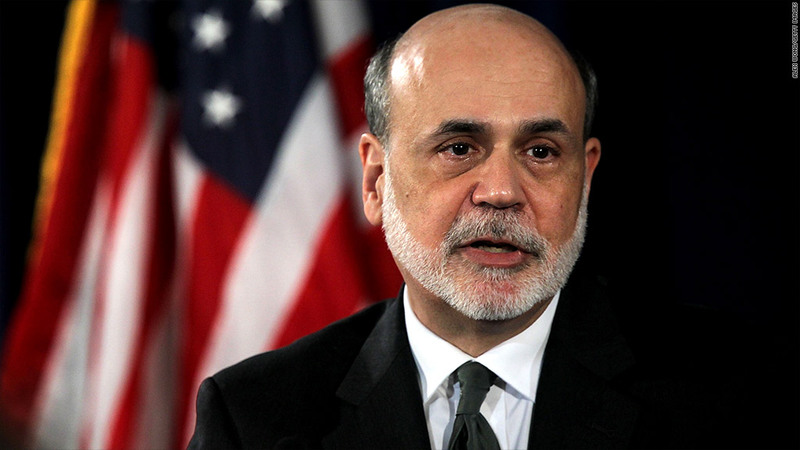 In a speech to the Economic Club of Indiana in Indianapolis, Bernanke said the Fed's recently announced plans to buy $40 billion in mortgages every month for the foreseeable future, a plan widely known as QE3, would help spur greater economic activity and higher home prices. He said that would help many more savers than would be hurt. "Many savers are also homeowners; indeed, a family's home may be its most important financial asset," he said. "Only a strong economy can create higher asset values and sustainably good returns for savers." Bernanke acknowledged that the problems low interest rates cause those people, such as retirees, who are living off savings. "My colleagues and I know that people who rely on investments that pay a fixed interest rate, such as certificates of deposit, are receiving very low returns, a situation that has involved significant hardship for some," he said. The fed funds rate, used as a benchmark for a variety of interest rates charged and paid by banks, has been near 0% since December 2008. The Fed has taken additional steps, known as quantitative easing, to drive market rates even lower. Bankrate.com estimates that the average annual rate on a 6-month certificate of deposit is only 0.49% today. But Bernanke said the low rates on CD's and U.S. Treasuries are only partly due to the Fed action, and partly due to investor expectation about sluggish economic growth overall. "Interest rates are low throughout the developed world, except in countries experiencing fiscal crises, as central banks and other policymakers try to cope with continuing financial strains and weak economic conditions," he said. Bernanke, in his remarks, reiterated that the Fed will keep rates low until the nation's unemployment rate falls significantly. The rate has lingered above 8% for most of 2012.